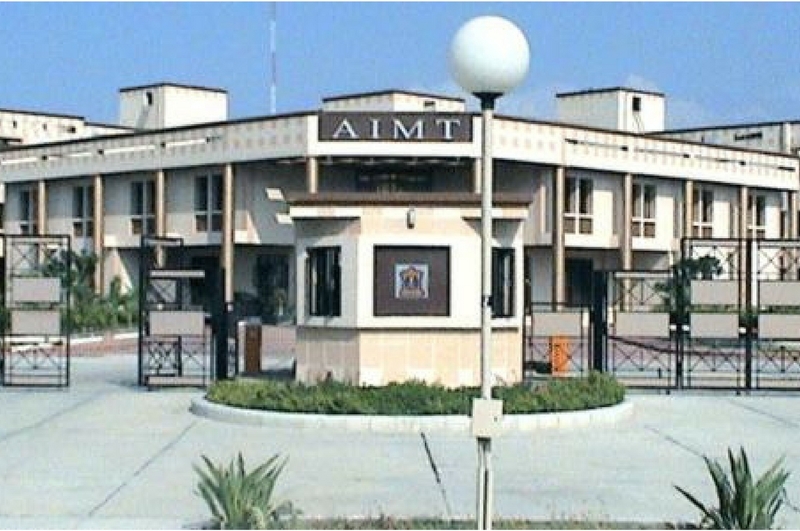 Army Institute Of Management & Technology (AIMT) is a premium MBA Institute in Greater Noida (NCR) near Delhi. Established by the Army Welfare Education Society (AWES) in 2004 in the hi-tech city of Greater Noida. The forerunner of the Institute was Faculty of Management Studies (FOMS), College of Materials Management (CMM), Jabalpur which was set up in summers of 1995. In a span of about ten years, FOMS carved a niche for itself and became a reputed business institution. In 2002 the college relocated and re-established itself with a new identity and a new name in the plush and quite environs of Greater Noida (NCR). AIMT’s mission is to to transform students in academic excellence, to be fully employable, motivated to contribute to the organization and to empower the faculty members to contribute in their chosen field. The students of AIMT come from all the parts of India carrying the discipline and dedication of Indian Army. 120 final calls issued after a multi-tier selection procedure that involves the CAT test score, academic potential, motivation and subsequent performance in the interview and group discussion phases. They bring with them diverse educational profiles and work experience. Students at the institute display exceptional talent and a history of accomplishment. The potential for leadership, the ability to work in groups and orientation for purposeful action are prerequisites for students who gain admission here. Variety of teaching and learning techniques are employed to impart knowledge and skills to students at Army Institute of Management and Technology in its various departments. For encouraging talent and advancement of knowledge amongst the student, AIMT provides variety of Awards and Scholarship Schemes. It inculcates human values and interest, commitment and motivation for academic pursuits. AIMT Greater Noida has created new records and glorious benchmarks in almost all fields. AIMT students earned many accolades to their kitty in the year 2017. Both batches MBA 13 and MBA 2017 had shown exemplary performance in the areas of Academics, Research & innovations, Sports and Cultural Activities.